Steve McGarrett Leads an Action-Pack Comeback on "Five-0" This January! Get ready for more heart-pounding action as the hit police procedural action drama, Hawaii Five-0, returns for an all new season on AXN this January. After a near-death experience, Steve (Alex O’Loughlin) and his investigative team face a new round of criminals out to sow mayhem in the island paradise – a mysterious vigilante who murders serial killers, a vengeful father out to avenge the death of his son, an assassin that targets environmentalists, a terror group that holds high school students hostage, and even a ragtag death cult, and more! 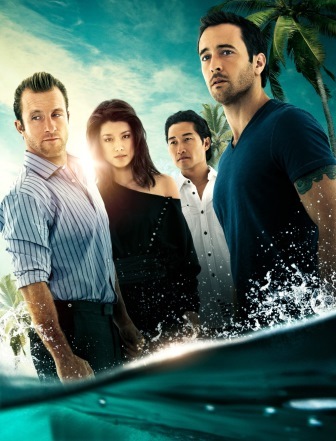 The highly successful reboot becomes even more interesting with the complications in the lives of Hawaii’s elite special task force–Steve embarks on a rescue mission to save his mother from foreign capture while dealing with the return of his ex, Catherine (Michelle Borth), which might give their relationship a second chance; Danny (Scott Caan) struggles with parental blues for his now teenage daughter, Grace (Teilor Grubbs), and deals with the unexpected visit from his sister; Chin (Daniel Dae Kim) finds himself in the middle of a custody battle he cannot win; Kono (Grace Park) is reunited with husband Adam (Ian Anthony Dale) and starts rethinking their priorities in life; Lou (Chi Mc Bride) copes with his son’s coming-of-age journey into manhood, while Jerry (Jorge Garcia) contends with more conspiracy theories. AXN is Asia’s leading general entertainment channel featuring exclusive top-rated drama series, blockbuster features, reality programs and groundbreaking original productions. The channel appeals to a discerning audience seeking content that is smart, intriguing and unexpected, and all delivered close to the U.S telecasts. From critically acclaimed series, The Blacklist and Quantico, to award-winning reality shows, The Voice and The Amazing Race Asia, AXN is defined not by a genre, but by an attitude that truly redefines action. First launched in Asia in 1997, AXN is a global channel brand with a presence in Latin America, Africa and Europe. In Asia, AXN is enjoyed in 85 million households across 20 territories. AXN Asia is wholly owned by Sony Pictures Entertainment and managed by Sony Pictures Television Networks, Asia, which also operates leading channels Animax, Sony Channel, ONE and GEM.